1. Homecare Nurses’ Decision-Making Information Needs During Admission Paulina Sockolow, Ellen J.
care plan decision making during the homecare admission process. conducted content analysis of the transcribed documents to identify data related to nurse decision making. as the nurse reviewed the patient assessment, surveyed the patient’s home environment, and as the patient raised concerns. ﬁrst week for both patients and to schedule two visits for the second week for one patient. was not clear how a nurse determined which problems identiﬁed in the assessment should be included/prioritized in the POC. pilot study results indicate that the methods used are appropriate for the larger planned study. to transitions in care to and from homecare, such as Meaningful Use and clinical information exchange standards. which can support various decisions for improving the quality of home care delivered in the United States (US). not been suﬃciently investigated so far. outcome measures that belong to urban and rural HHAs. its zipcode, a Rural Urban Area Commuting Code (RUCA) was obtained from the University of Washington (UW). obtained median incomes corresponding to HHA zipcodes from the Population Studies Center at the University of Michigan. measures for HHA size, which were obtained from the Healthcare Cost Report Information System (HCRIS) Database. had normal distributions, we used t-test for comparison; otherwise, we used the Wilcoxon-rank sum test. converted d values to r to use a single measure for the magnitude of diﬀerences across diﬀerent tests. matter since the quality measures represent rates of care episodes. it seems that rural HHAs are older (.36) and they work hard; they have more patients (.09), and they make more visits (.08). isolation and limited access to community resources. more annual hospital admissions than their urban counterparts. data are paying oﬀ by leading to reproducible results such as those reported in this study. follow-up study. Health & place 2014;30:171–176. 3. UW RHRC Rural Urban Commuting Area Codes - RUCA. url: http://depts.washington.edu/uwruca/. 4. Rural Urban Commuting Area Codes Data. url: http://depts.washington.edu/uwruca/ruca-uses.php. tion. Tutorials in Quantitative Methods for Psychology 2008;4:13–20. 11. Boucher, MA. “Making it”: qualities needed for rural home care nursing. Home Healthcare Now 2005;23:103–108. 12. Jones, CA. Health status and health care access of farm and rural populations. 57. DIANE Publishing, 2009. 13. Reschovsky, JD and Staiti, AB. Access and quality: does rural America lag behind? Health Aﬀairs 2005;24:1128–1139. experts’ referral decisions by discipline and geographic region. and the actual documented discharge dispositions made on the same cases by practicing clinicians at the hospital sites. patients collected from the hospital sites showed post-acute referrals for 65.9%. subsequent modeling to build decision support tools. planning. It is recommended as an eﬀective method to elicit knowledge for building expert decision support. treatment) from free text clinical notes. diagnoses in the structured data. (F-measure =81.9%). Only 46.5% of wound notes had a structured code for a wound diagnosis. 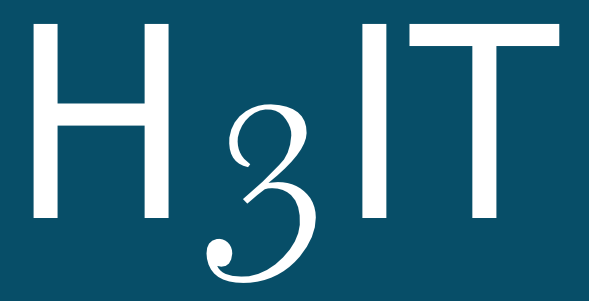 share the results at the H3IT conference. agement continuity, and interpersonal continuity. that leave patients and/or families out of the discussions. proﬁcient at home care tasks. essary health information with their clinical providers. organization, and knowledge of their medical condition may be possible through personal health records (PHRs). and share their health information in a private, secure, and conﬁdential environment”. Methods: Two researchers independently reviewed the eighteen noPcost, webPbased PHRs listed on MyPHR.com. published case study detailing a 58 year old man referred to home health after an acute care episode. case study were abstracted into four categories: demographics, medical history, acute care encounter, and home health visits. that only three of the seven PHRs were able to accept the occupational therapy data. information could be entered into six of the systems. medical history data. Four systems used structured lists to support data entry for medical conditions. allowed users to update a dose in an existing medication entry, while keeping a record of the previous dosage in the system. The remaining systems required the user to discontinue a medication and create a new entry to update dosage. download a HTML format . when dosage, duration, or timing changes were made to existing medications. entering, managing, and sharing data from these encounters. plinary review. BMJ: British Medical Journal 2003;327:1219.
of older home-living patients: A case study. International journal of integrated care 2014;14. 3. Ellenbecker, CH, Samia, L, Cushman, MJ, and Alster, K. Patient safety and quality in home health care. 2008. 4. Kessels, RP. Patients’ memory for medical information. Journal of the Royal Society of Medicine 2003;96:219–222. qualitative study. Journal of medical Internet research 2013;15:e65. 8. www.myphr.com. http://www.myphr.com/. (Accessed on 07/15/2015). Chicago, IL, 2015. 10. phr.emrystick.com. http://phr.emrystick.com/. (Accessed on 07/15/2015). 2015. 11. MiVIA - Connecting Patients and Clinicians Nationwide. https : / / www . mivia . org/. (Accessed on 07/15/2015). 13. Froedtert MyChart - Login - Milwaukee, Wis. https:/ /www.mychartlink.com/MyChart/. (Accessed on 07/15/2015). 14. ZebraHealth: ZebraHealth Inc. https://www.zebrahealth.com/. (Accessed on 07/15/2015). Kirkland, WA, 2015. 15. About My Health: Experience. Learn. Share. (Accessed on 07/15/2015). Nottingham, UK, 2015. 16. MedicAlert Foundation. http://www.aboutmyhealth.org/. (Accessed on 07/15/2015). Turlock, CA, 2015. 18. Get Your Personal Health Record Now | Zweena Health. http: // zweenahealth. com/. (Accessed on 07/15/2015). 19. NoMoreClipboard Connecting Patients and Providers. https://www.nomoreclipboard.com/. (Accessed on 07/15/2015). 20. Healthspek - Free, Easy to Use Personal Health Records (PHR) App, Apple Rating 4.5 Stars. https://www.healthspek. com/. (Accessed on 07/15/2015). 2015. 21. MyMedWall. https://secure.mymedwall.com/phr/. (Accessed on 07/15/2015). 2015. 22. Health Companion, Inc. https://www.healthcompanion.com. (Accessed on 07/15/2015). San Diego, CA, 2015. 23. Microsoft HealthVault. https://www.healthvault.com/en-us/. (Accessed on 07/15/2015). Redmond, WA, 2015. 24. Doclopedia Marketplace Development. https://www.doclopedia.com/. (Accessed on 07/15/2015). Phoenix, AZ, 2015. In 2013, more than $34 billion was spent as a direct medical cost for falls. and ranked as the highest amongst potentially avoidable events (PAEs). them, (iii) and identify gaps in existing workﬂows as they relate to managing and reducing the risk falls. Framework Method was used for the analysis of the results. system, or (c) the HHA intake staﬀ did not pass through the required information. informs the plan of care. for fall risk management, creates gaps in the continuity of care and challenge home care providers. in the memory of providers. To date, fax and phone remain the predominate mode of exchanging health information. health IT solutions capable capturing non-clinical and contextual information can help close these gaps. improvement opportunities to manage and reduce falls will not be realized. 1. Stevens, JA, Corso, PS, Finkelstein, EA, and Miller, TR. The costs of fatal and non-fatal falls among older adults. home modiﬁcations. Age and ageing 2006;35:55–59. 4. Health, F of. Preventing hospital readmissions and loss of functional ability in high risk older adults. corporate 2011.
disease management. Home Health Care Management & Practice 2010;22:278–285. 10. Kitzinger, J. Qualitative research. Introducing focus groups. BMJ: British medical journal 1995;311:299. 13. Smith, J and Firth, J. Qualitative data analysis: the framework approach. Nurse researcher 2011;18:52–62. delivery. Journal of Healthcare Management 1993;38:537.
reducing the overall costs of healthcare. improve the quality of home care in the United States. serve and support such eﬀorts. to fulﬁll the conditions of participation in Medicare. measures without providing speciﬁc advice about how to improve outcomes through QAPI by acknowledging its diﬃculty. health IT can be a vehicle for improvement. Methods: A qualitative research approach was preferred to obtain contextual and rich data. The analysis results were further reﬁned in an online forum and validated at a ﬁnal meeting. participant explains: "Our care must be friendly and supportive" (participant 20). date on the latest evidence-based care practices. in light of this evidence and decide whether their health IT solutions help them improve the previously-mentioned domains. Therefore, our results should be immediately relevant, intriguing, and applicable to the home care industry and policy makers. validate whether the measures do have an impact on patient outcomes. 1. Berwick, DM, Nolan, TW, and Whittington, J. The triple aim: care, health, and cost. Health aﬀairs 2008;27:759–769. 2. Rosati, RJ. The history of quality measurement in home health care. Clinics in geriatric medicine 2009;25:121–134. improve health care quality for patients with chronic diseases. Jama 2003;289:434–441. older adults. Research in gerontological nursing 2015;8:5–10. 6. Health, UD of, Services, H, et al. Centers for Medicare and Medicaid Services (CMS) Medicare Carriers Manual. 7. Kitzinger, J. Qualitative research. Introducing focus groups. BMJ: British medical journal 1995;311:299. 9. Creswell, JW. Qualitative inquiry and research design: Choosing among ﬁve approaches. Sage publications, 2012. 12. Smith, J and Firth, J. Qualitative data analysis: the framework approach. Nurse researcher 2011;18:52–62. 13. Srivastava, A and Thomson, SB. Framework analysis: a qualitative methodology for applied policy research. 2009. Nursing and Midwifery, Sheﬃeld and London, UK 2004.
nursing. Health & social care in the community 2004;12:407–413. medication reconciliation module over the current mixed paper/electronic process. care beneﬁciary 30-day readmissions for HF. This presentation will describe the launch of this program, how operations were centralized and future directions. Reducing 30-day readmissions was and continues to be a health system-wide objective. agreeable to TH. Initial equipment employed was moderate sized TH unit reliant upon a landline telephone or wireless card. record which alerts TH personnel. Nearly 200 patients receive TH each year. 5.2% (ﬁscal year 2014-2015), a reduction of over 14% in three years. and has become an integral part of the University of Pennsylvania Health Systems’ 30-day readmission reduction eﬀorts. Mozaﬀarian, D., Benjamin, E. J., Go, A. S., Arnett, D. K., Blaha, M. J., Cushman, M., ... Turner, M. B. (2015). pice care patients: United States, 2000 and 2007. National Health Statics Report, 38: 1-27.
ditions/downloads/2012chartbook.pdf Medicare Payment and Advisory Commission (2013). Krumholz, H. M., Merrill, A. R., Schone, E. M., Schreiner, G. M., Chen, J., Bradley, E. H., ... Drye, E. E. (2009). lation: Cardiovascular and Quality Outcomes, 2: 407-413.
failure: An overview of systematic reviews. Journal of Medical Internet Research, 17(3):e63. explore where we are trying to go, how we expect to get there and how long we expect this journey of heath care reform to take. for Home Healthcare and Hospice organizations to contribute to that success. of these initiatives designed to support the desired future state of health and health care in the United States. Center (a division of the American Nurses Association), and as such, conducted training events for educational purposes. dancy, and Availability are characteristics of the .NET development environment, as well as Sustainability into the future. executed remotely. To provide a code-execution environment that minimizes software deployment and versioning conﬂicts. Point Of Care. Shortly after “go live”, in early 2012, our mobile applications team began its work. Methods: The Software Engineering team at Axxess evolved their software development process over the years since 2010. As the team grew so did our processes. Being a SaaS environment, we push enhancements and ﬁxes rapidly, at least bi weekly. our organic growth within the engineering team. We have reﬁned our development process to enable seamless collaboration. services (unlike other commercial apps that share data). mobile team we use Google, Apple and Fabric – analytics to monitor accessibility as well as our user device demographics.